When it comes to surfing, we always seem to need the accessories that we don’t possess. I can’t even count the number of times where I’ve needed a fin key and didn’t have one. When you have the proper surfing accessories on hand, it can make surfing a much more enjoyable experience. Today we’re going to go over some of the best surfing accessories on the market and how they can enhance your day-to-day surfing experience by a mile. GoPros are so amazing, as they allow you to capture the perfect moments in surfing so that you can share with the world. Thanks to the portable design and the high-quality, 4K60/1080p240 video, you can create your own professional surf films with ease. Beyond that, these bad boys are waterproof up to 33ft, so they truly make for great water devices. 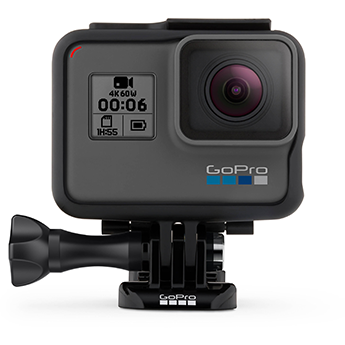 If you are wondering "what GoPro accessories do i need for surfing?" the look no further because the Hero6 is compatible with everything including board, hand and helmet GoPro attachments. Our favorite in GoPro's line of cameras is the Hero6. With 5GHz Wi-Fi, 60 fps in UHD 4K, and built-in GPS, you’re looking at an action sports camera that is top of the line. 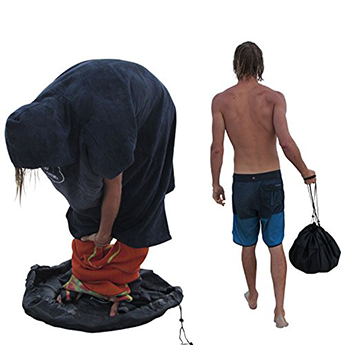 Sick of having to change out of your wetsuit in dirty beach parking lots? Maybe you’re just a practical person and changing in the sand seems counter-intuitive if you want to stay clean. In that case, you need a changing mat! One of our favorites on the market is the Ho Stevie Wetsuit Changing Mat. This durable change bag can pretty much stand any surface from rough concrete to fine grain sand. You can simply change out of your wetsuit, cinch your clothes up into your bag, and throw it in your trunk to transport it home without fear of getting your interior soaked. In that case, you need a changing mat! One of our favorites on the market is the Ho Stevie Wetsuit Changing Mat. When it comes to cleaning your wetsuit properly, it can be a serious task. You have to hose it down with fresh water to get rid of the salt and grime and then you have to wait a day before it dries completely so that you can put it back on. That’s why wetsuit hangers like the HangAir Wetsuit Dryer are so revolutionary. 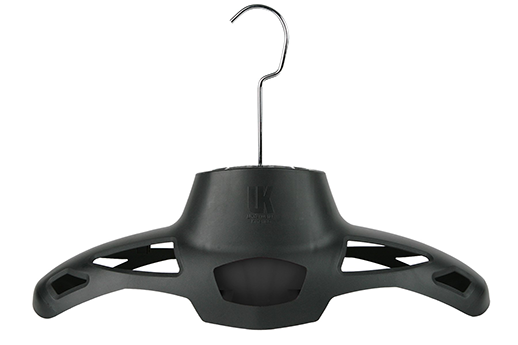 It works to dry your wetsuit 70% faster than hang drying thanks to the portable, waterproof fan. Tide watches are one of the most essential pieces of surf gear out there, as they help to give you ocean metrics so that you can keep up with the tides in your favorite surf spots. As technology advances, many of these watches are being updated with things like GPS and Wi-Fi as well. 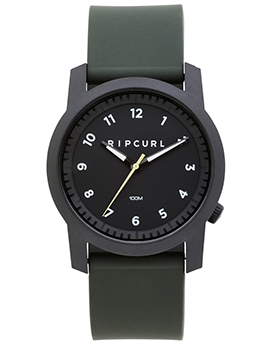 One of our favorite tide watches on the market is the Rip Curl Rifles. 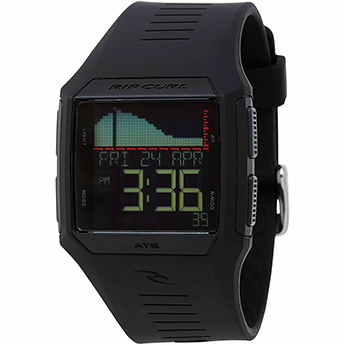 With a waveform-style graph, 500 pre-programmed beaches, and an array of other programs, all wrapped up in a stylish body, you have a watch that is both practical and fashionable. Surf watches don’t necessarily give you tide measurements like the one above, though they do allow you to keep track of time while out in the surf thanks to their waterproof designs. Durability and style are important when it comes to having a great surf watch, and that is why one of our favorites is the Rip Curl Cambridge. With a simple and sleek design, this watch acts as a practical time-keeping device and an wrist-piece that you can wear to dinner after a long day in the water. A good surf camera should be capable of much more than a typical sports or nature camera. Being able to shoot quickly and easily in an environment that is unpredictable is key. 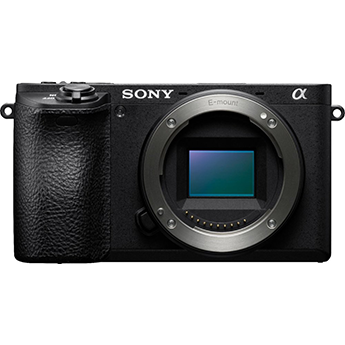 That’s why we love the Sony Alpha Mirrorless Digital Camera. This bad boy is fast and provides high-quality photos and videos with the 245.2 APS-C Exmor Sensor. DryTide waterproof backpack is built to take the best out of the world or drybags and combine it with all the features that regular backpacks have. What you get is a stylish looking backpack that is comfortable to wear, versatile to use, has lots of pockets to organize your things and is at the same time 100% waterproof. It is made out of 100% waterproof material. Special welding construction technique makes sure there are no stitching holes in the backpack. This means that DryTide waterproof backpack can withstand even the harshest weather conditions. Long and heavy torrential rainstorms, dropping your backpack into the sea or lake, or even pushing it underwater for a while. All your items are sealed and safe inside the backpack. 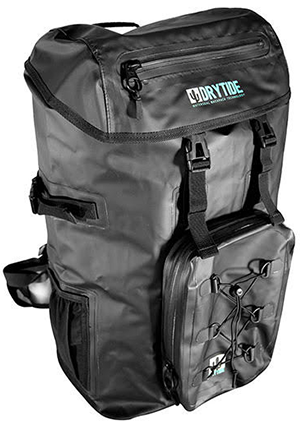 This backpack is therefore perfect for surfers either for keeping your stuff dry and sand free on the beach and during boat rides, for trips to tropical surf locations with lots of rain or for simply storing and transporting your wet wetsuits without them dripping all over your car. It is perfect for all sorts of other water sports as well. So if you want to have a peaceful mind during your travels and surf trips, this is a perfect backpack for you. There is no worse way to expose yourself to harmful sun rays than by being on the water. It’s important that surfers wear sunscreen no matter the weather, as these harmful rays have the power to cause irreparable damage. 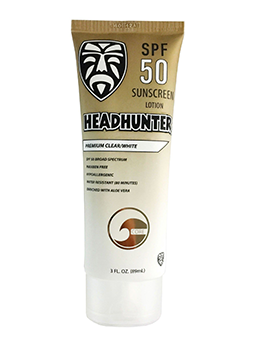 Pro surfers know that not all sunscreen is made equal, and it’s important to have a strong, protective, water-resistant one like HeadHunter SPF 50. With its non-greasy, water-resistant, odorless design, you can rest assured that you’ll remain protected throughout your long surf session. Wax is a crucial piece of surf gear, as it allows you to pop up and surf while retaining grip on your board. If you’re constantly sliding off your board during your sessions, it’s probably time to apply some good wax, such Sticky Bumps OG. 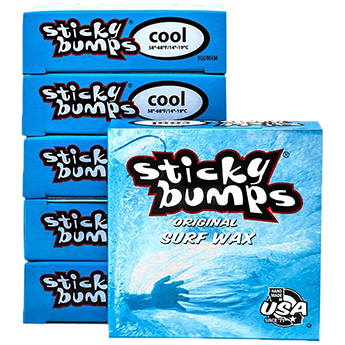 Sticky Bumps is an environmentally friendly surf wax that comes in an array of temperature types and scents. It can also be used for just about any board that you choose to bring in the water. Getting the proper leash with your board will ensure that you don’t lose your board when you’re out there surfing big waves. Too often we see beginner surfers having to flock back out to sea to retrieve their surf sticks. Don’t be a kook and get a leash like the BPS Storm. 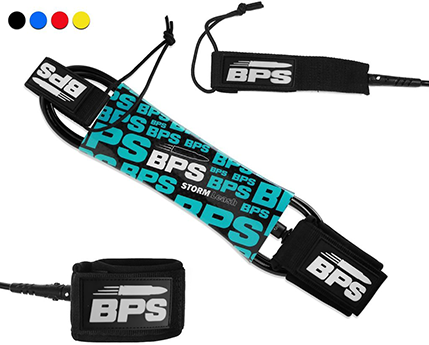 The BPS Storm Leash is an ultra-durable leash that can be used for surf or SUP thanks to the array of sizes available. With the kink-less design and wrap rail saver, it’s a leash that will protect both you and your board at all times. Many beginner surfers don’t realize how important fins are when it comes to the way that they surf. A solid set of surfboard fins provide both stability and flexibility to give you the best of both worlds. 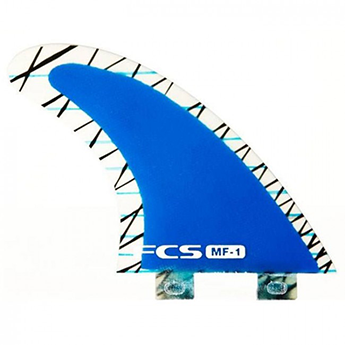 One of our favorite fins on the market is the FCS Mick Fanning MF1. With the elongated tip and stiff flex pattern, this fin gives you a mix of speed, response, and power. Beginner and expert surfers alike praise the MF1 for its versatility. As you begin to transition out of your local spot to other beaches around the world, you’re going to need a surfboard bag to get your gear there. One of the best on the market in terms of durability and portability is the Pro-Lite Rhino. 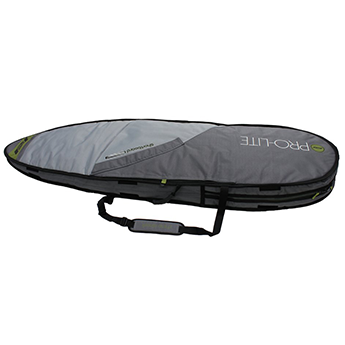 The 10mm of protective padding, as well as the extra-large pockets for accessory storage, allow you to transport your surfing closet with ease. Whether kicking back on the beach with a drink in hand or splashing around in the water with the family, having a good sun hat to keep your face protected is crucial. One of our favorite sun hats on the market is the Itopfox. It’s an inexpensive, floppy sun hat that come in an array of different colors to match your style. Beyond that, this hat is easy to wash and gives you protection against harmful UV rays. Having different types of surfboard racks can help to make your storage and transport a million times easier. 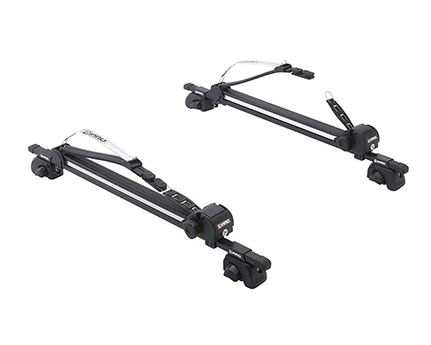 For roof rack transport, there is truly no better product than the Inno Racks Boardlocker. Want to ride your bike down to the beach but can’t carry your board? Check out the Carver Surfboard Bike Rack. If you just want a stylish and practical way to store your boards at home, look no further than the Bamboo Rack from Grassracks. If you’re like me, you probably never want to escape the sweet smell of surf wax. With surf wax candles, you don’t have to! One of our favorites on the market is the Sticky Bumps surf wax candle that is made from all-natural soy-based wax, giving you the wonderful scents of Sticky Bumps in your bedroom. Sick of spending hundreds of dollars for your local shop to repair tiny dings on your board? It’s time to do it yourself! For the best in surfboard repair, look no further than the Solarez UV Polyester Travel Kit. 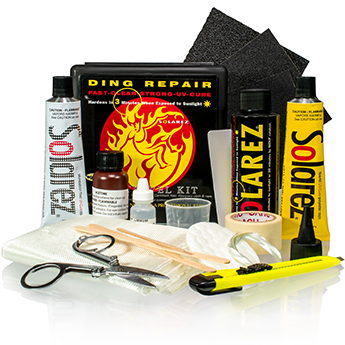 This repair kit comes with everything you need to get your board back into shape. There is no better surfing gift that provides inspiration quite like a surfing film. 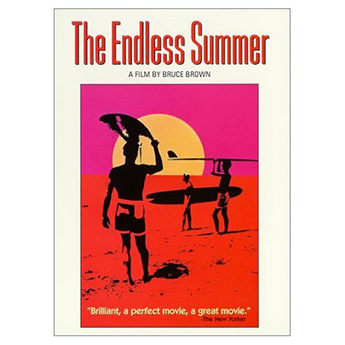 Though there are many great ones out there, the absolute classic surfing movie is the 1966 Bruce Brown film, The Endless Summer. Travel with some of the top surfers of the time to destinations around the world. Motivate yourself with the carefree, adventure-driven attitude that surfing culture embodies. Any avid surfer will tell you how important a good set of earplugs are. They help to protect your sensitive ear canals from cold water and air so that you don’t develop afflictions such as surfer’s ear. 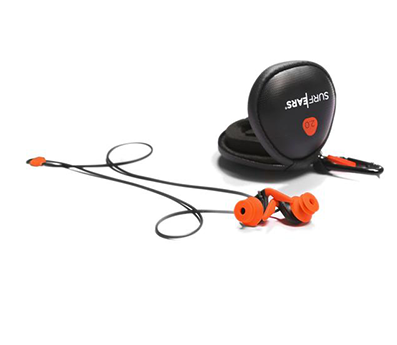 For some of the best ear plugs on the market, look no further than SurfEars 2.0. These wide and durable ear plugs provide a comfortable and protective fit to keep your ears safe, no matter how hard you ride. A great surfing brand is something that helps bring cultural significance to the world of surfing. With practicality, leisure, and style, surfing brands seem set apart from the rest of the lifestyle brands out there. One of our favorite surf brands on the market, and easily one of the biggest surf developers out there, is Quicksilver. From boardshorts to t-shirts to gear and beyond, Quicksilver has established themselves as one of the most prominent and environmentally friendly surf brands in the game. Looking to party it up on the beach with your crew after a long sesh? You’re going to need some good music. 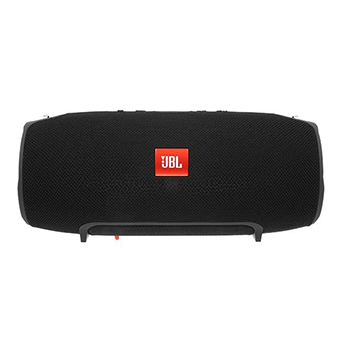 For bumpin’ beats in a rugged design, we recommend the JBL Xtreme Bluetooth Speaker. With the 15-hour battery life, water-resistant design, and high-fidelity sound, there isn’t a more well-rounded beach speaker around. 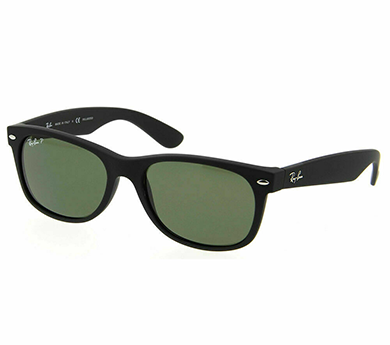 When the sun comes out blazing, having a bit of protection to stay cool is essential. 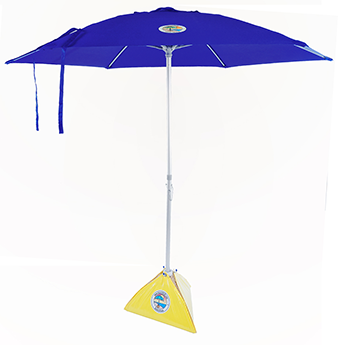 This is why it is necessary to get a shade like the BEACHBUB Oversized Beach Umbrella. With the large 7.5’ canopy, the high-quality aluminum pole, and the durable 10mm fiberglass frame ribs, this bad boy was built to handle everything a beach environment could throw at it. If you’re like me, you probably have been using that same dirty beach towel for ten years. 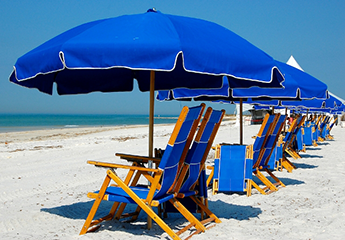 When I finally upgraded to a beach blanket, my beach relaxation experience changed immensely. 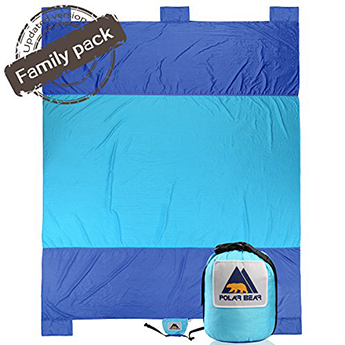 A great beach blanket, such as the Wildhorn Outfitters Escape, provides a space for you and the whole family to relax on after a long day of surfing. With a portable, compression-pouch design and a nylon build, it’s the ultimate beach blanket. Well that just about wraps up our must-have surfing accessories list. We hope that our guide has helped to narrow down your surfing needs, or find the perfect gift for your avid surfer loved one. Make sure to check out our individual guides linked throughout the article for more in-depth reviews on some of our favorite surf products out there. Shred on my brothers and sisters!